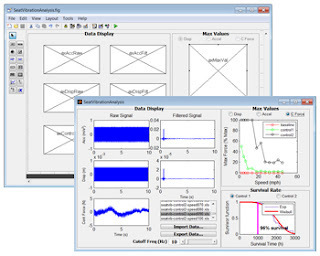 MATLAB® is a high-level technical computing language and interactive environment for algorithm development, data visualization, data analysis, and numerical computation. Using MATLAB, you can solve technical computing problems faster than with traditional programming languages, such as C, C++, and Fortran. MATLAB provides a high-level language and development tools that let you quickly develop and analyze your algorithms and applications. The MATLAB language supports the vector and matrix operations that are fundamental to engineering and scientific problems. It enables fast development and execution. With the MATLAB language, you can program and develop algorithms faster than with traditional languages because you do not need to perform low-level administrative tasks, such as declaring variables, specifying data types, and allocating memory. In many cases, MATLAB eliminates the need for ‘for’ loops. As a result, one line of MATLAB code can often replace several lines of C or C++ code. At the same time, MATLAB provides all the features of a traditional programming language, including arithmetic operators, flow control, data structures, data types, object-oriented programming (OOP), and debugging features. 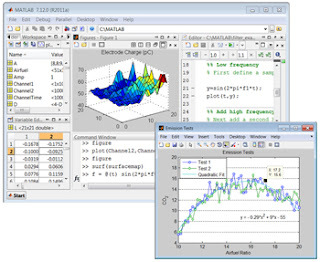 At the same time, MATLAB provides all the features of a traditional programming language, including arithmetic operators, flow control, data structures, data types, object-oriented programming (OOP), and debugging features.MATLAB lets you execute commands or groups of commands one at a time, without compiling and linking, enabling you to quickly iterate to the optimal solution. For fast execution of heavy matrix and vector computations, MATLAB uses processor-optimized libraries. For general-purpose scalar computations, MATLAB generates machine-code instructions using its JIT (Just-In-Time) compilation technology. This technology, which is available on most platforms, provides execution speeds that rival those of traditional programming languages.